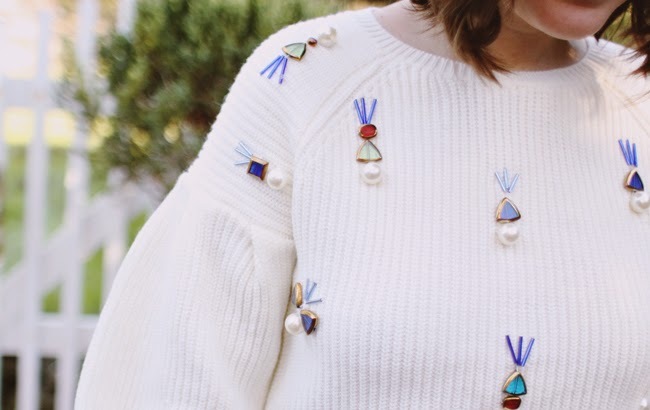 These two pieces were destined to be worn together. 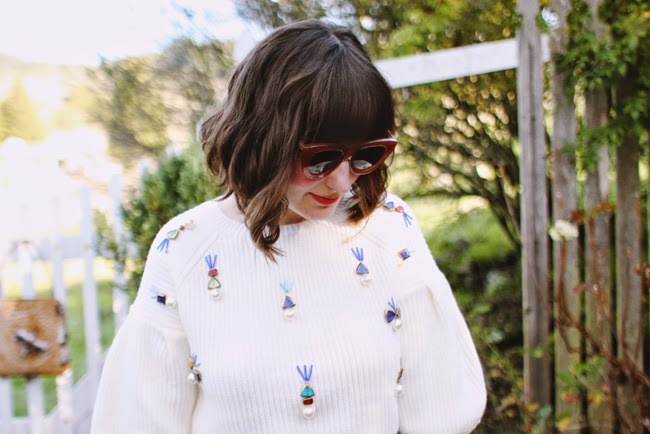 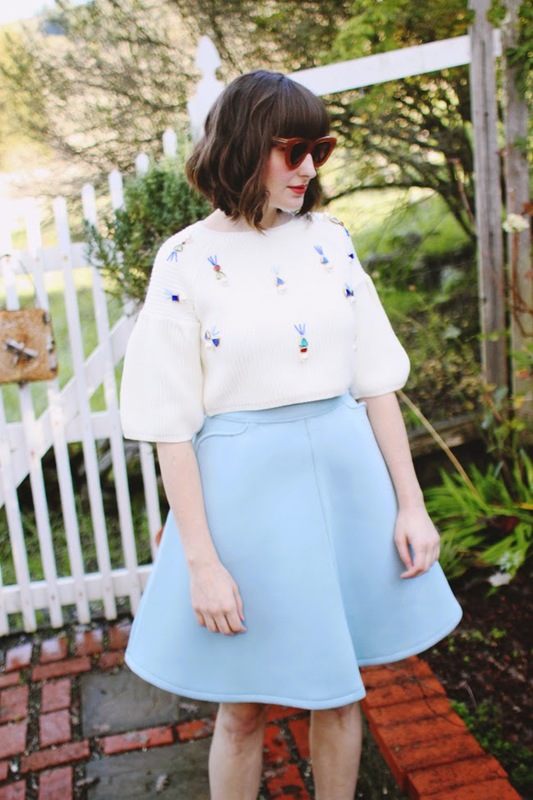 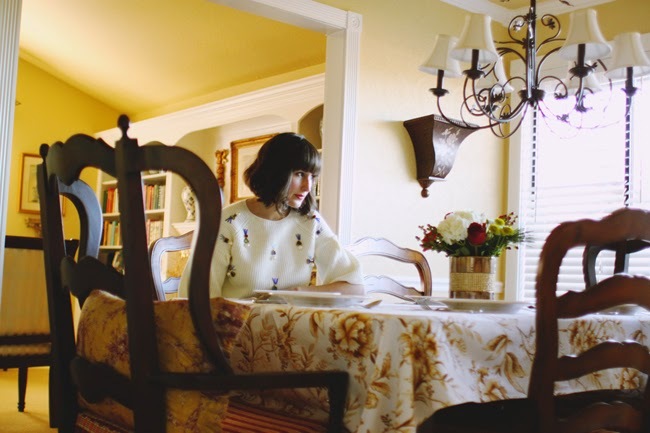 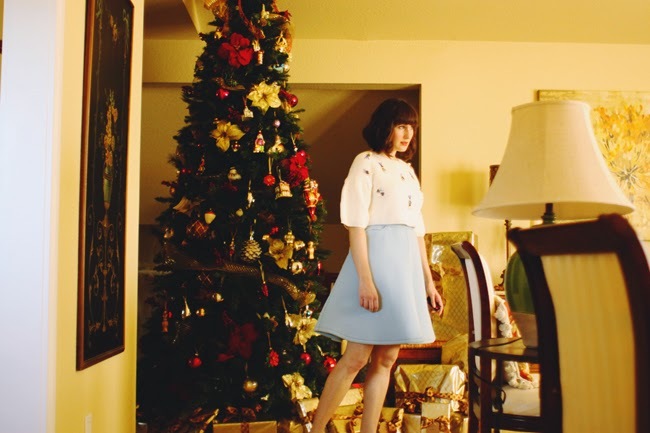 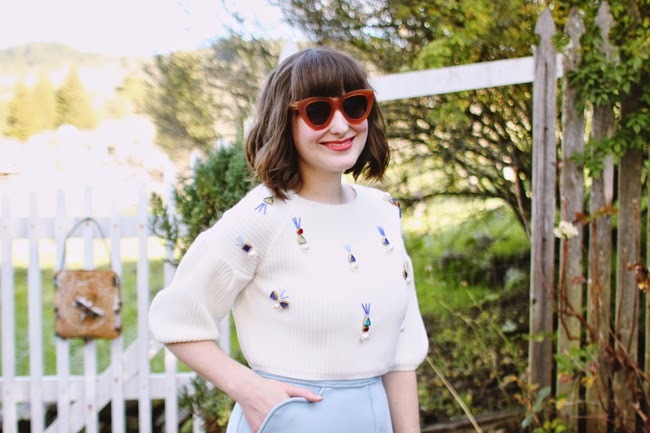 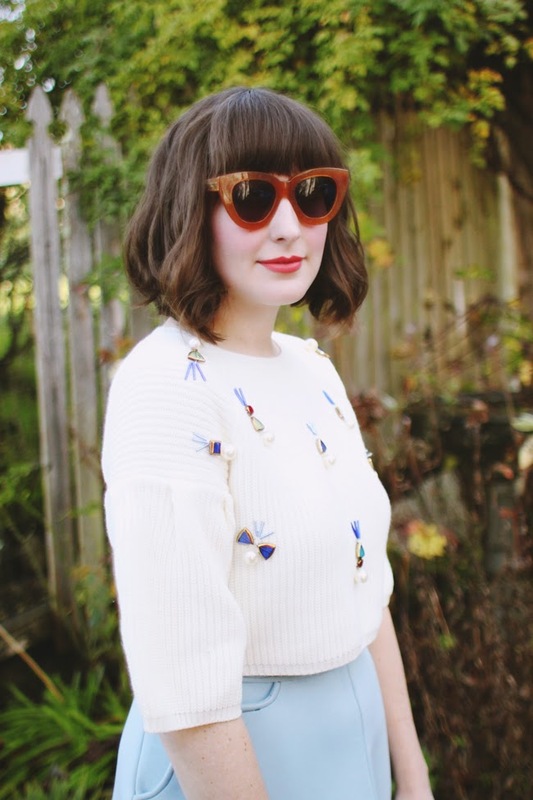 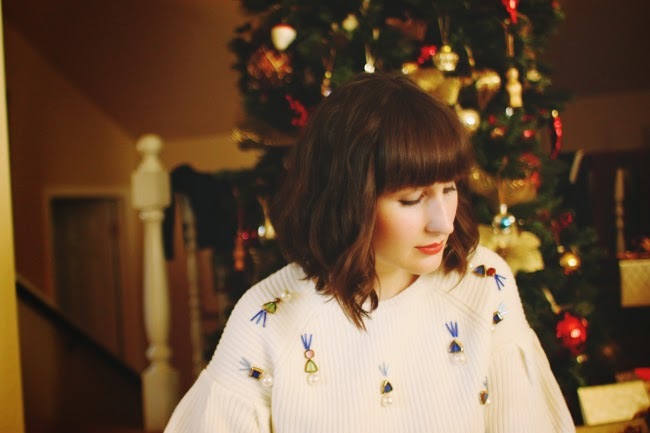 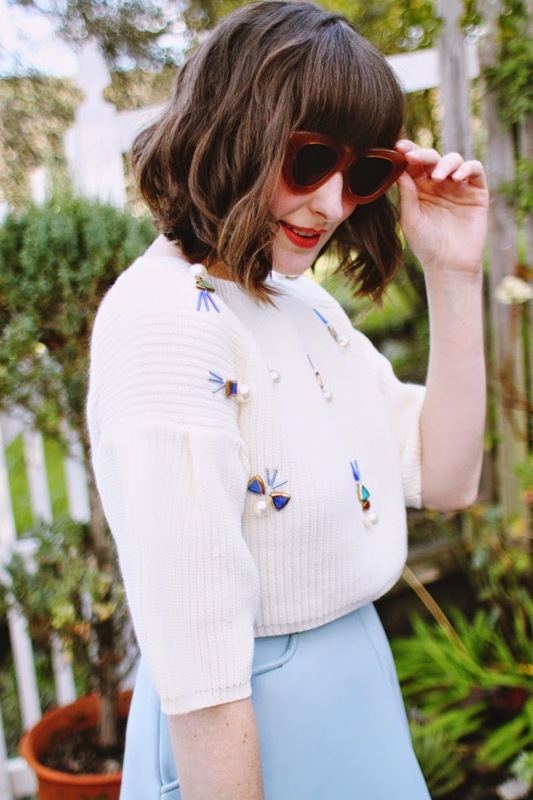 The bejeweled cropped sweater is a gem from Sheinside and the pale blue skirt is a neoprene wonder that was made especially for me by my talented friend and fellow Anthropologie stylist Megan Swansen. 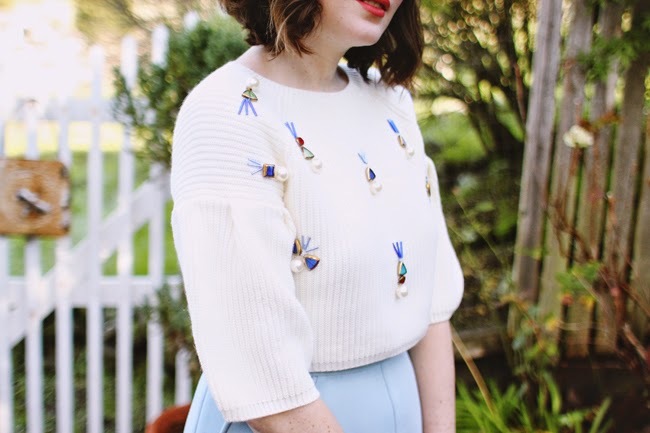 As soon as I saw this cute little sweater I knew it would be the perfect match with this skirt, and happily for me the weather in Northern California is nice enough at the moment to be running around with bare legs and arms. 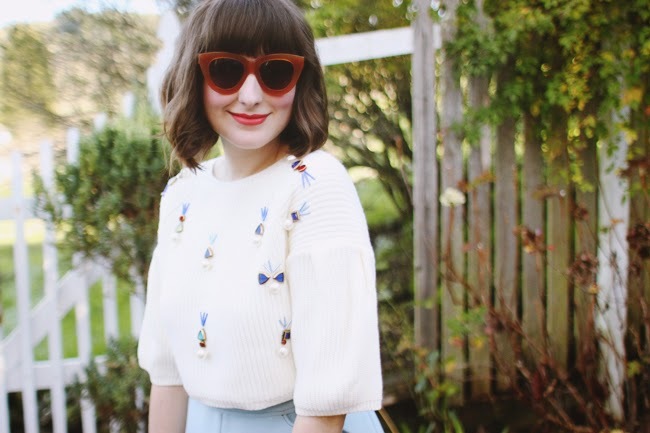 I might just wear this outfit every day until I head back to the east coast.